Millions of women across America are taking to the polling station to do something they have never had the chance to do before - to choose to vote for a woman. 103-year-old Juliet Bernstein from Massachusetts, born in 1913, recalls: ''accompanying my mother in a horse-drawn carriage to the polls in the first election when women, at long last, had the right to vote." And now Bernstein, along with the rest of the American population, has witnessed a gruelling and brutal election campaign with Hillary Clinton, a female candidate, in the eye of this political storm. There is a little part of this social history which we are bringing to the spotlight today. 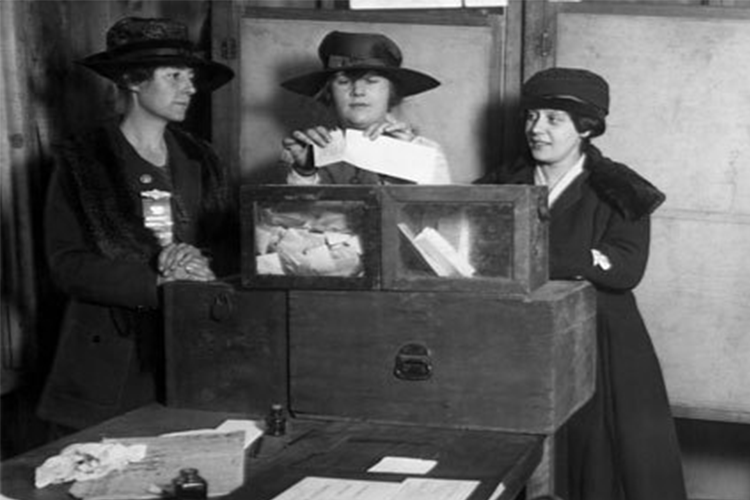 Just as pins, ties, cuff links and tie tacks in donkey or elephant motifs serve as symbols of the democratic and republican parties today, Suffragist jewelry stands for the community of women engaged in the long-fought battle to secure their right to vote. 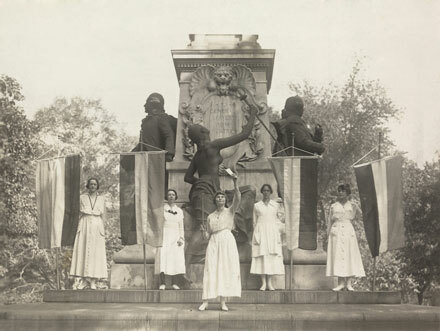 In 1908, the WSPU adopted purple, white and green as their campaign colors, declaring they represented dignity, purity and hope. Popular myth has long suggested that jewelry comprised of green, white and violet stones created a secret acronym for ''Give Women Votes'', but that is likely more romantic than accurate. 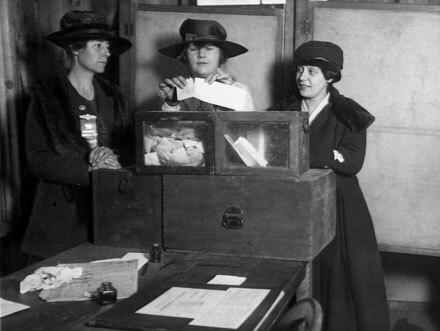 In fact, jewelry made of purple amethysts, white diamonds and green garnets is considered Suffragist jewelry only if made in the years between 1908 and 1914, at which point in time women's suffrage efforts took a back seat to support the nation in unity during the First World War. Whatever the outcome of political elections, these pieces of jewelry represent big ideals - the reminder that each and every vote counts, no matter gender, race, religion or age. 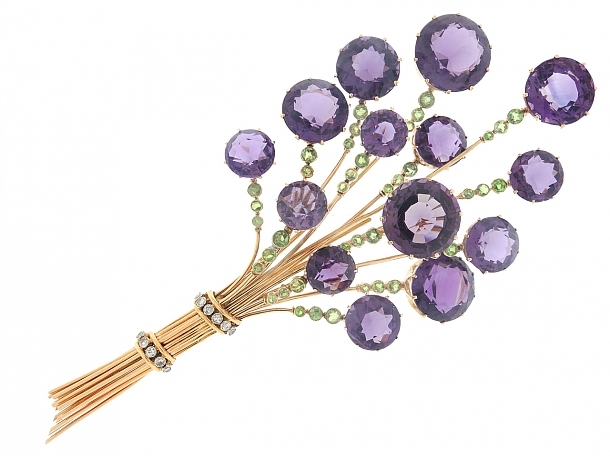 The brooch featured in this piece is for sale at Beladora, designer and estate jewelry specialists for more than 25 years in Beverly Hills, California. Beladora is a division of Kazanjian & Fogarty Inc. renowned vintage jewelers, and is led by Russell Fogarty, former head of Christie's jewelry department in the US. The Beladora website ''removes the glass showcase'' with an online catalog of more than 2600 pieces, each with detailed descriptions, illustrated with videos and photographs to show color, brilliance, condition and scale. Check out Beladora here.